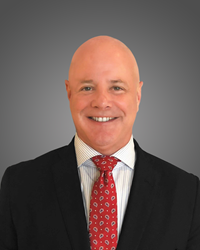 Guardian Jet (guardianjet.com), the Guilford, Connecticut-based business aviation consulting and brokerage firm, is pleased to announce the appointment of Robert Garrymore to Vice President-South Central. A highly regarded business and general aviation veteran, Garrymore, in his new position, is leading Guardian Jet aircraft sales in Texas, Oklahoma, Louisiana and New Mexico. In his role, Garrymore is responsible for establishing and maintaining relationships with Guardian Jet’s brokerage and consulting clients at the senior-most levels of corporate flight departments and family offices. He also manages vendor relationships and alliances to expand the company’s client base. Previously, Garrymore served as President of the Corporate Sales division for Wheels Up. Prior to that, he was President of Executive Jet Management (EJM), a subsidiary of NetJets (a Berkshire Hathaway Company). In addition to his executive role at EJM, Garrymore served in a variety of positions during 15 years at NetJets, including roles in management, sales and operations. In addition to his extensive aviation industry background, Garrymore holds a BA degree from Widener University in Chester, Pennsylvania. He is a commercially rated pilot and former certified flight instructor. Founded in 2002, Guardian Jet, LLC, offers business aviation brokerage, consulting and oversight services for thousands of clients worldwide. The company distinguishes itself with its focus on integrity and industry expertise, and by consistently providing business value to clients. Guardian Jet’s core mission has always been to earn the right to buy and sell aircraft on behalf of its clientele by providing great consulting advice, market intelligence and flawless execution. For more information, visit guardianjet.com.